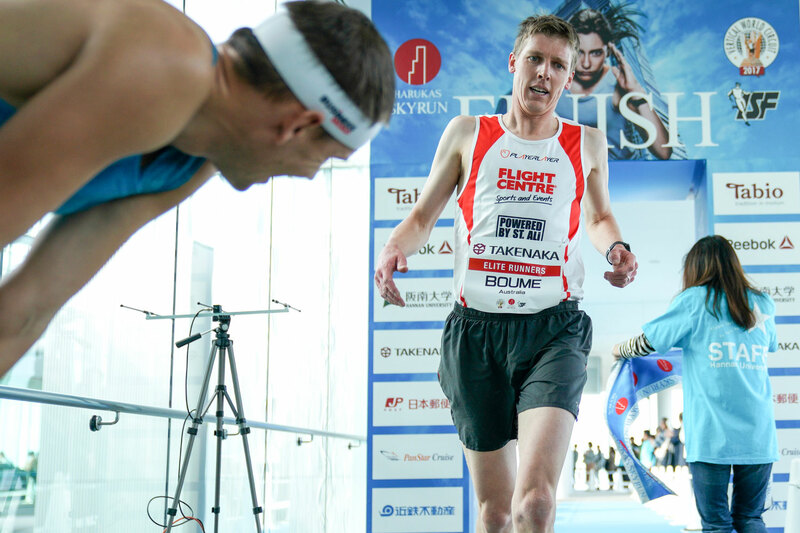 Poland’s Piotr Lobodzinski and Japan’s Yuri Yoshizumi won the second edition of the Harukas Skyrun on Sunday, November 12, setting the overall fastest times up the 59 floors and 1,610 steps of the Abeno Harukas – Japan’s tallest skyscraper where 1,300 runners competed. Winning the event secured Lobodzinski’s overall victory on the 2017 Vertical World Circuit. He finished in a time of 8′34″ nailing the VWC champion title which he will take home at the finals in Hong Kong on December 3. Mark Bourne of Australia was the only contender who could have challenged Lobodzinki’s title. By just thirteen seconds he placed second, clocking 8′47″. Japan’s Ryoji Watanabe was an excellent third in 8’54”. “I’m happy to finish in second place, but I didn’t have the best feeling. But it’s still good to come in second,” said Bourne. 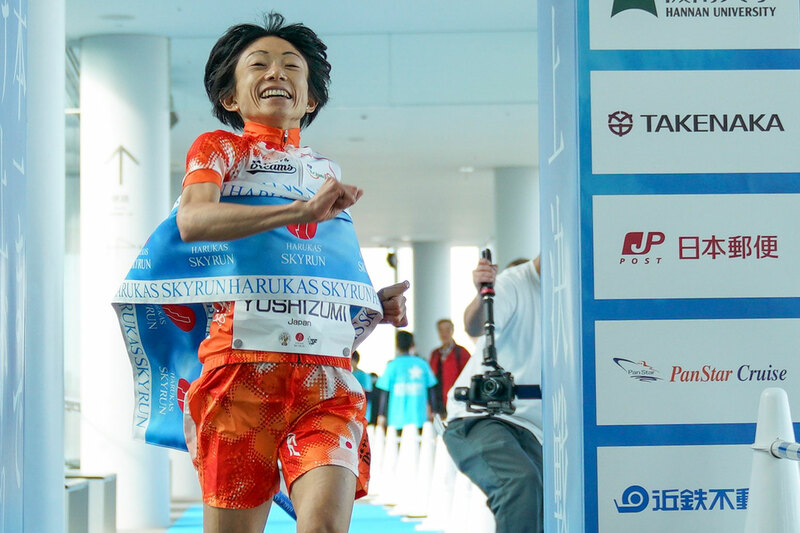 In the women’s category, local hero Yuri Yoshizumi climbed to her first VWC win of the year, finishing in 10’14”, beating Poland’s Iwona Wicha by 1 minute and 13 seconds. Natalia Sedykh of Russia finished third in 11’47”. 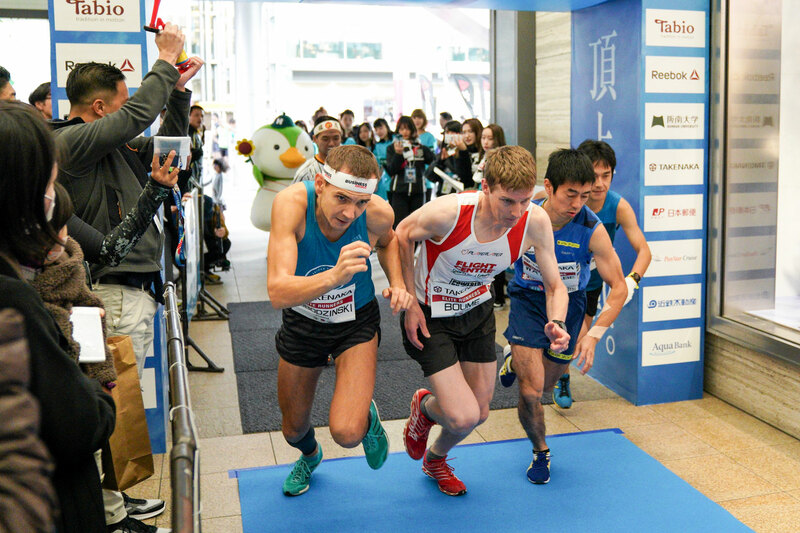 Japan’s only international stair climbing race was selected as Official Race on the 2017 Vertical World Circuit (VWC), the world’s premier skyscraper racing circuit, uniting some of the world’s most iconic skyscraper races, including the T2T Tower Climb on One World Trade Center in New York City. The Vertical World Circuit is sanctioned by the International Skyrunning Federation, governing body of the sport. The 2017 Vertical World Circuit now heads for the Grand Finale of the 10-race tour where the world champions will be crowned and the end of season bonus pool will be distributed on December 3 in Hong Kong at the “SHKP Vertical Run for Charity: Race to Hong Kong ICC”.